Presented by Katie Steckles and Peter Rowlett, episodes of Mathematical Objects will take an object, real or abstract, as inspiration to chat about a mathematical topic. This introduction explains the idea ahead of the first episode, coming soon. Today’s Google Doodle (visit google.com to see it, or if you miss today, you can find it in their archive) celebrates Russian mathematician Olga Ladyzhenskaya. In recognition of her 97th birthday, the Doodle includes the Navier-Stokes equations, of which Ladyzhenskaya provided the first rigorous proofs of convergence using a finite-difference method. The next issue of the Carnival of Mathematics, rounding up blog posts from the month of February, is now online at Tom Rocks Maths. The Carnival rounds up maths blog posts from all over the internet, including some from our own Aperiodical. See our Carnival of Mathematics page for more information. 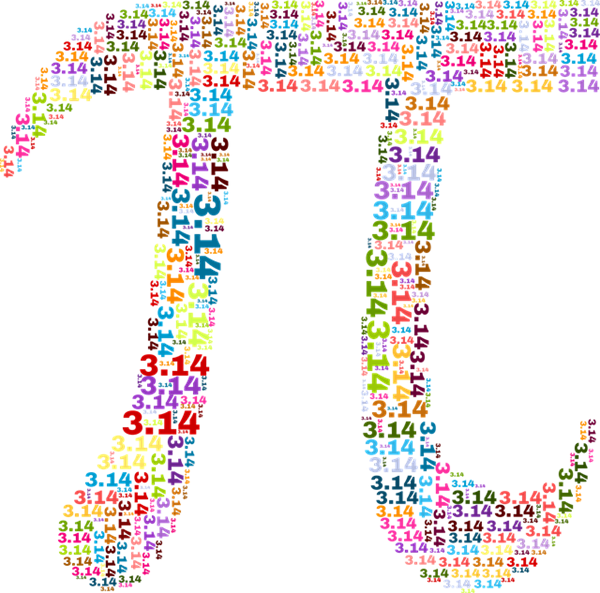 It’s that time of year again – 3.14 (March 14th), a.k.a π day, is just around the corner, and if you want to do something fun on the day, now’s the time to plan it. One nice way to celebrate this brilliant infinite string of digits is by creating π-inspired art, and we’ve spotted a couple of relevant links if that’s your jam. Maths learning organisation (and Carnival of Mathematics stalwarts) Ganit Charcha are running a competition for schools in India, challenging them to ‘Doodle for π‘ – students should take inspiration from a mathematical concept, and create a doodle/image to submit. The competition invites creativity and imagination, and runs until 12th March. If you’re not in India, you can still use π as inspiration for artworks – Think Maths speaker and Aperiodical Math-off contestant Zoe Griffiths has put together a set of ideas for how to use π to create beautiful pictures, to decorate your home, school or office. Tim Lexen has written a series of posts on the topic of Tricurves: Bending the Law of Sines, Combining Tricurves and Phantom Tiling. In this latest post, Tim has been working with our own Katie Steckles to turn Tricurves into real objects to play with. When you discover an interesting mathematical shape or object, there’s a strong instinct to play with it – maybe by drawing sketches and doodles to test the limits of the idea. But in the case of Tricurves, drawing an accurate shape takes a little time, and it doesn’t lend itself well to idle experimentation. Producing a physical version of a shape, in enough quantity to allow for experimentation, makes it much more tangible. 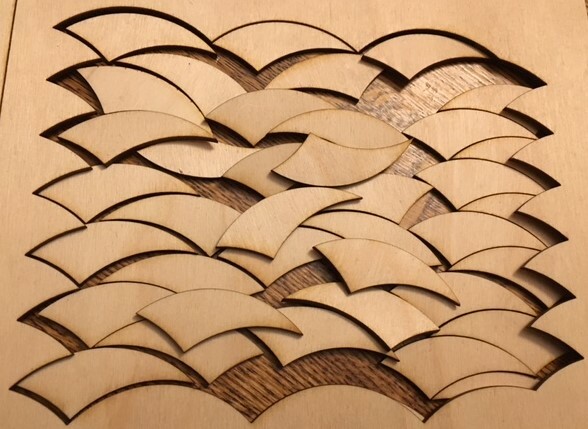 In our own respective locations, we’ve each made use of laser cutting facilities to produce wooden Tricurve tiles to play with, and we encourage you to join in. I’ll continue writing posts for HLF’s Spektrum blog as long as they want me to – keep checking their Twitter feed or the blog’s RSS feed to see them as they appear! The next issue of the Carnival of Mathematics, rounding up blog posts from the month of January, is now online at Math With Bad Drawings.